Disney has released new details for the new Star Wars Lands coming to Disneyland Park and Disney's Hollywood Studios. Currently under construction at both parks, these new 14 acre lands will bring the Star Wars franchise to life for park guests on both coasts! 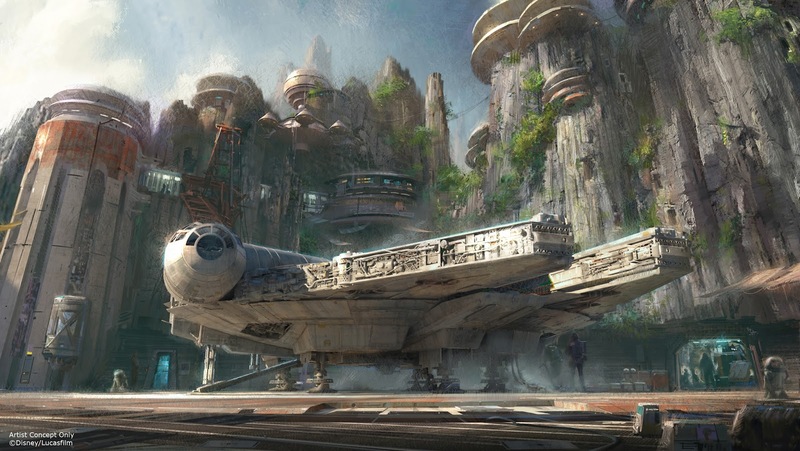 The new lands will complement the multiple movies currently in development by Disney for the Star Wars universe in the coming years. The new areas mark the largest single themed land expansions in Disney history! It's now very clear that Disney has bet on the Star Wars Universe and expects the franchise to resonate with guests for many years to come! Disney has promised 2 signature attractions for the lands, including an actual Millennium Falcon integrated into the environment! 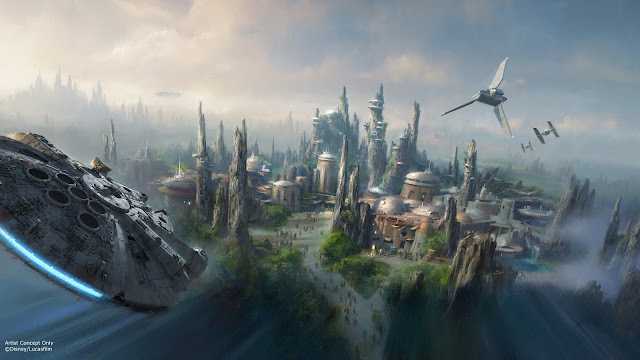 I believe that Star Wars super-fans and regular park guests alike will enjoy the intricate and immersive environment that Disney plans to build for the parks. Even if you don't know that any of the machines or vehicles are in this photo, you can still agree it looks like fun! Construction will continue over the next few months to years as Disney builds their new worlds, literally! That's all for now from Theme Park Overload. Make sure to "Like" our Facebook page to get the latest in Amusement Park news delivered straight to your news feed! www.Facebook.com/ThemeParkOverload My name's Nicholous, and Thanks for Reading!